Smart speakers have quickly become a must-have household gadget for tech enthusiasts everywhere. Devices like the Amazon Echo and Google Home are inexpensive and capable of far more than just music playback -- from a simple pizza order or requesting an Uber to full smart home control, when integrated with devices like Philips Hue lightbulbs or Nest thermostats. Given the rapid adoption it's no surprise that other companies have begun to jump on the smart speaker bandwagon. Apple is the last of the big household names with their HomePod which will retail at a premium $349.99, and reports have circulated that Facebook is seeking to create their own Echo alternative as well. Today, Xioami has officially joined their ranks with the announcement of the Mi AI, a smart speaker that seeks to compete on the Chinese same market, but at a fraction of the price. 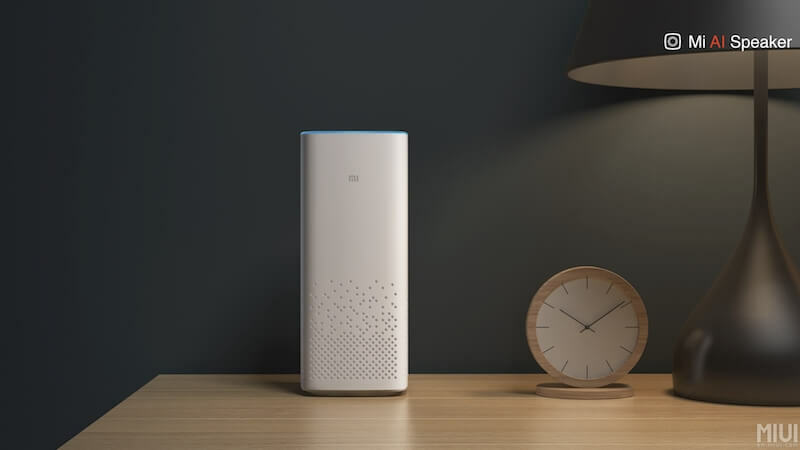 Whereas the Amazon Echo retails for $180, the Xiaomi Mi AI will only run you about $45 (or 299 RMB). In terms of pricing, the smaller Echo Dot ($49.99) is the only smart speaker that comes close to the Mi AI - but it's lacking many of the premium features that Xiaomi's alternative will have like its six-microphone array. At least on paper the device has many of the same features as the full Echo, such as third-party service compatibility and smart home control functionality, so it seems like a pretty good deal. However, software is key here, so it's no surprise Mi AI will only be available in China initially, with no plans to bring the device to other markets just yet. Xiaomi will roll out the first Mi AI devices this August, in the form of a limited beta testing program.